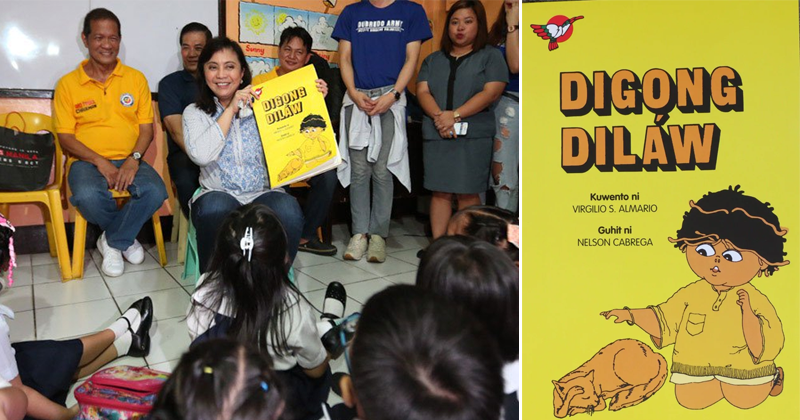 Ang kwento ni "Dingdong Dilaw"
It's a curious title for a book especially if she's the one who'd read it to school children but Vice President Leni Robredo swears by the lessons imparted by Virgilio Almario's story "Digong Dilaw." 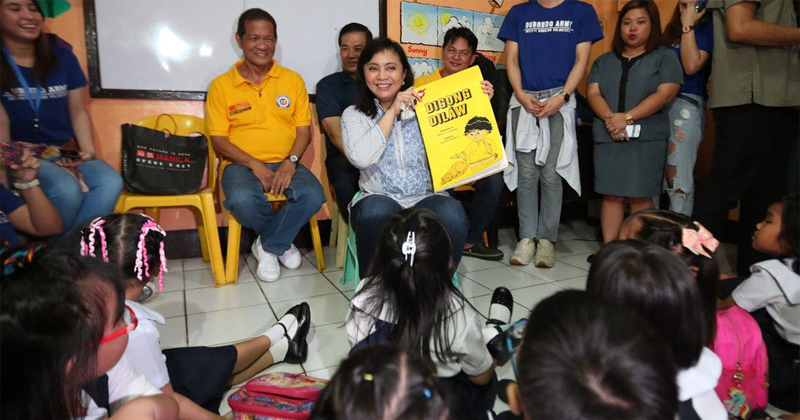 At a daycare center in Tondo, Manila on Tuesday, Robredo read the national artist's story about a boy named Digo, who loved the color yellow and who eventually had the power to turn everything to yellow. Just like Midas who eventually realized the folly of turning everything he touched into gold, Digo in the story woke up from what turned out to be a dream and learned to love the other colors. 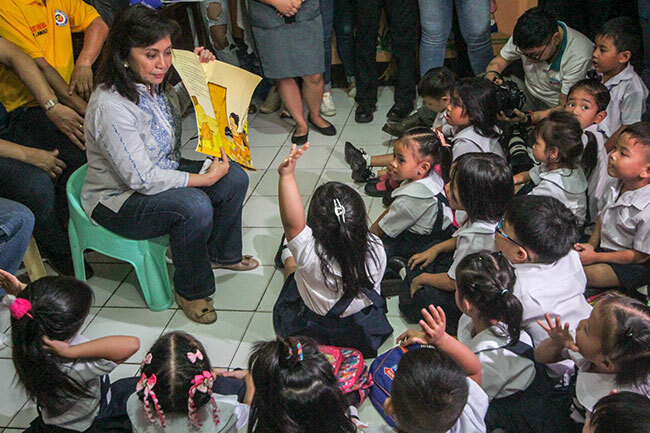 “Maganda iyong kuwento. Napakalaki nung aral para sa mga bata,” she added. 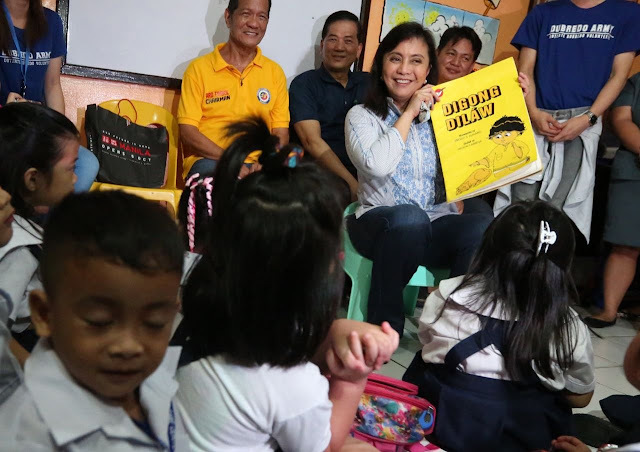 President Rodrigo Duterte's nickname is Digong and unlike the Digo in the children's story, he has shown his disdain for the "yellows", an apparent reference to members of Robredo's Liberal Party. 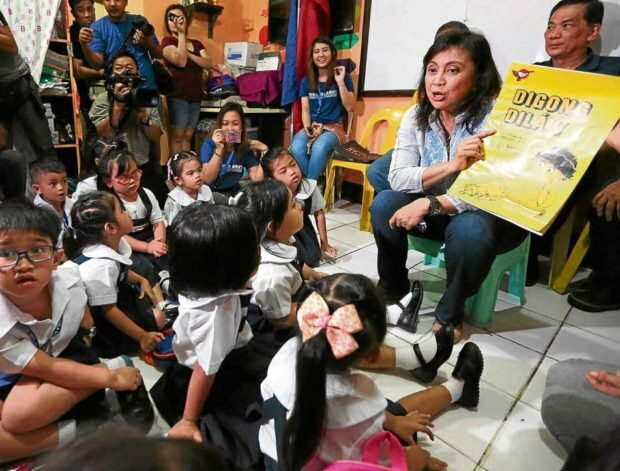 Duterte has accused members of the former ruling party of conspiring with the Left and former rebel soldiers of being involved in an ouster plot against him. 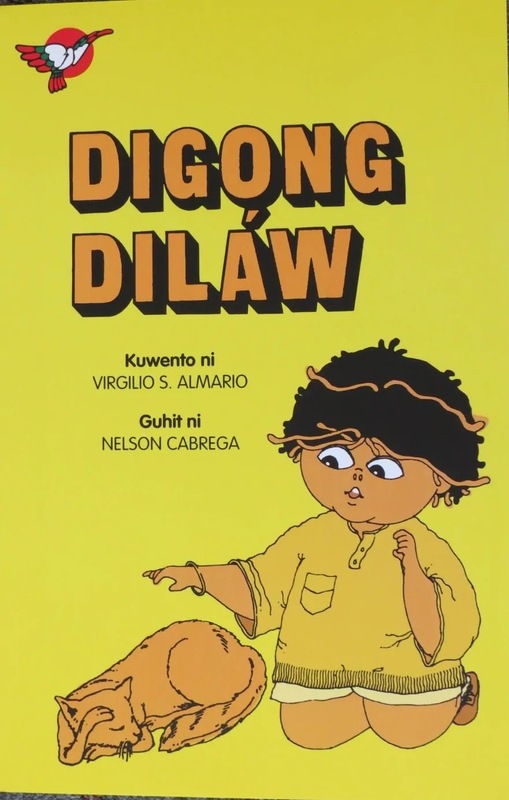 Almario wrote Digong Dilaw in 2003.